vf35 turbo good upgrade for uk turbo ?? i have a my00 uk turbo standard bar a full decat, looking at getting it ecutek'd but iv seen a new vf35 turbo up for sale for £230 and wondering if changing the little td04 to this would make a difference to performance? what car is this turbo fitted to as standard and is it a good unit? what sort of power can it run after being mapped? would my standard injectors be ok with it? thanks. I think the VF35 are of the bugeyes? I would personally go for VF24 as it will be cheaper & not far off from the 35 performance wise. If you have 440cc in the UK spec then the injectors will max out at about 330ish or maybe more with a FPR. If you have 380cc then it will be less. The VF35 will max out between 330-340ish. 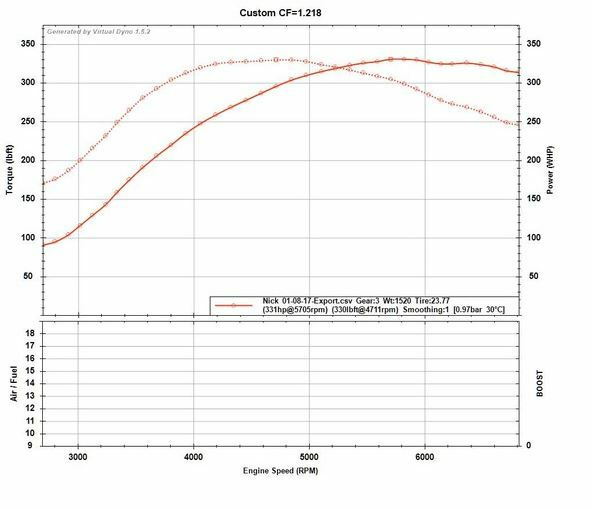 vf 35 will be a good upgrade, only real common turbo that will be better is a vf34. should see 330bhp, wont need injectors and wont need fuel pressure reg. you will need an uprated fuel pump though. also additional supporting mods will be an advantage, also will def need mapping once its fitted. hmmm....im tempted to go down the route of the andy forrest hybrid td04, like the really early spool up and 300bhp would be more than enough, along with harvey ported headers and uppipe, decisions decisions. Sounds to me 300bhp would not be enough for you if your looking at harveys headers and up pipe, sounds a little overkill. I personally went down this route to attempt the 350bhp marker without maxing everything out. VF30, STI Pink Injectors, STI TMIC, STI Up pipe, 3" full decat, Walbro with standard headers, I also never finished the project off before I sold the car which inc not fitting Ported headers. The car was making around 320+ without the last map tweak and headers fitted. It all depends what you want to do with the car. I believe headers give you the quicker spool and added torque. Ive got a vf34 on my 2 litre classic an its no where near as responsive low down as the Vf28 on my sti5. Think the Vf34 was originaly fitted to the 2.5 litre cars? vf35 is a good direct upgrade for my99 turbo. ive done this myself and car is running 315/320 make sure you get a low mileage one tho. I,ve had both a Vf 28 and now a Vf 35 on my MY 00 UK Classic ,mapped with supporting mods. The Vf 35 is a good turbo for fast road use with minimal lag. My old 99 uk turbo was fitted with a vf28 and i changed to a vf35 i was well pleased with the change, its a great turbo for road use you will be happy with the difference assuming your changeing from a standard td04 to a vf35 with supporting mods etc, go for it! i had the same prblem when i upgraded my wrx blob. The VF35 has identical internals as the VF30 and it uses divided thrust bearings. However, the exhaust housing is a P15 which means this turbo will have fantastic spool characteristics. This turbo is standard on the new WRX Type RA. LIMITED SUPPLY. PE 1818 The 1818 supposedly comes on boost extremely fast...which make it great for road racing or aggressive driving (remember to be responsible :^). The 1818 maxes out somewhere between 350-375 hp. PE 1820 The 1820 is larger than the 1818 and is capable of running more boost, but at the expense of more turbo lag. Expect it not attain full boost until you have passed 4000 rpm. However, it can be tuned to 400+ hp. Does anyone have direct comparison between vf24/vf28/vf29 and vf35? Especially I am interested which of these turbos is the fastest spooling / with better low end? How much difference is there? It's a good question, but on what car with what spec? I am interested in any direct comparison between these turbos (on the same car etc.). But preferably on 01-05 WRX (ej205), daily driven, with all supporting mods. my 04 wrx made 354bhp and 365ftlbs with a vf35 turbo/de-cat/pink injectors/sti top mount and decent pump. 365ft-lbs - isn't it above level of ej205 engine, gearbox and clutch? What I am interested in mostly is low down response of vf24/vf28 compared to vf 35, which of them is fastest spooling? gearbox was fine, i had a version 6 sti box in it that was rebuilt by api impreza. it spooled like crazy to be honest, i had rcm headers aswell and everything was heat wrapped. never did i think it spooled slowly. i have a picture of the graph but photobucket is gay these days so cant upload it. You can upload it directly from your local drive. Just click "Insert image" button, the image will be uploaded directly to SN. Stock ej205 rods can handle 365lbft? MY00 UK turbo with VF28. Ecutek remap, 100 cel sports cat, straight through centre section, 3-port boost solenoid, walbro 255, K&N air filter, WRX intercooler, single coil pack conversion. Nick_cat thanks for the chart, it looks nice. Don't you have chart with your previous setup for comparison? And how is it to drive on road compared to td04 setup? Especially on low rpm? Didn't you notice increased boost threshold after you have had vf28 fitted? Unfortunately, I don't have a graph of the previous setup (TD04, Ecutek remap, 1.1 bar). At lower rpm it does feel flatter than with the TD04, I think the boost threshold has risen by about 500rpm. It now has max 1.4 bar - mid range more than compensates. I went for a VF28 because I wanted to keep the car true to its 'classic' origins and it's also a ball-bearing turbo that apparently helps with spool, and sounds nice. 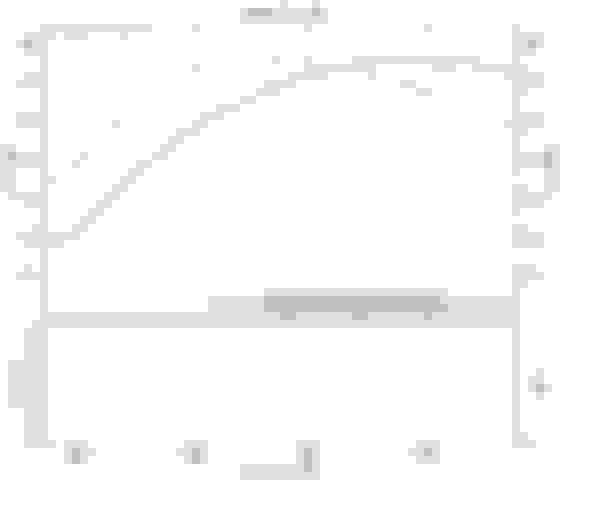 Both charts have different scales so it is not easy to compare them directly, but it seems that both lines match each other at about 3250RPM and about 265lb-ft. Very interested in how it would look like for a VF35. Max numbers are: 284BHP/272lbft for TD04 and 309/296 for vf28 (peak boost 1.3bar) - max torque on vf28 does not look too impressive. So it's +9% HP and +9% in max values. I don't know what the supporting mods were and if they differ between these 2 setups. Seems like 2 different turbos, butmaybe it is pointless between different dynos or possibly different gear..
Last edited by uxon; 26 June 2018 at 12:57 PM. Quick Reply: vf35 turbo good upgrade for uk turbo ? ?